Dr. Bürklin-Wolf is the largest family owned estate in Germany with just over 110HA of vineyards all located in the heart of the Pfalz. The vineyards are located in Wachenheim, Forst, Deidesheim and Ruppertsberg including the monopol sites “Wachenheimer Rechbächel” and “Gaisböhl” in Ruppertsberg. They were the first non-French member of the well-known French organization “Syndicat International des Vignerons en Culture Bio-Dynamique” with the label BIODYVIN. 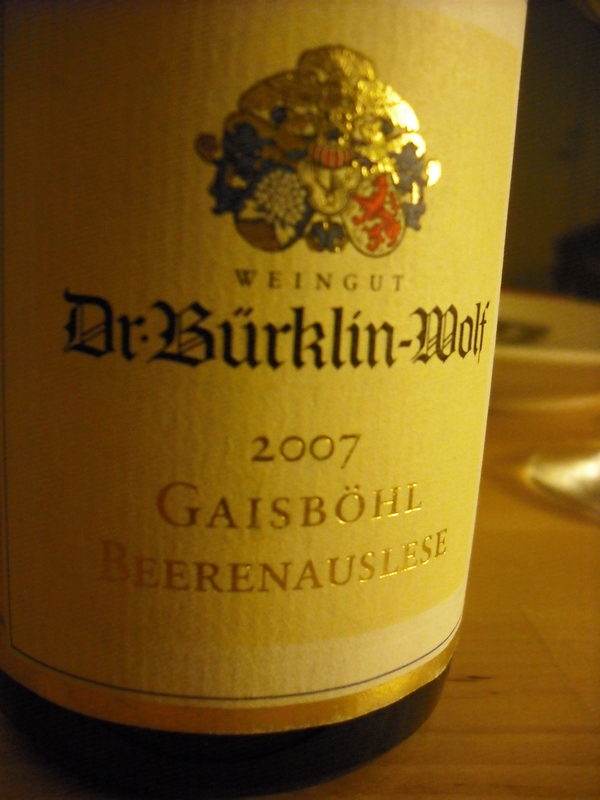 In the beginning of 2005 all 83 hectares of Bürklin-Wolf’s vineyards were converted to bio-dynamic methods. Dr. Bürklin-Wolf has passed with success all necessary controls by the EU control agencies and is certified as a bio-dynamic winery. This wine has a special place in my heart. On September 12, 2007 a friend and I arrived in the Pfalz where I would remain for the following 10 days to take part in the harvest. The very next day we had our very first harvesting experience. We were to (hand) harvest grapes (Riesling) in the Gaisböl vineyard, and those grapes were to be at the Beerenauslese level! Beerenauslese (BA) directly translated means “selected grapes”, which simply meant that we were hand selecting grapes that were going to be used in this wine. The grapes in a BA wine are normally effected by Botrytis (the basis for the worlds greatest sweet wines like Sauternes and Tokaji). 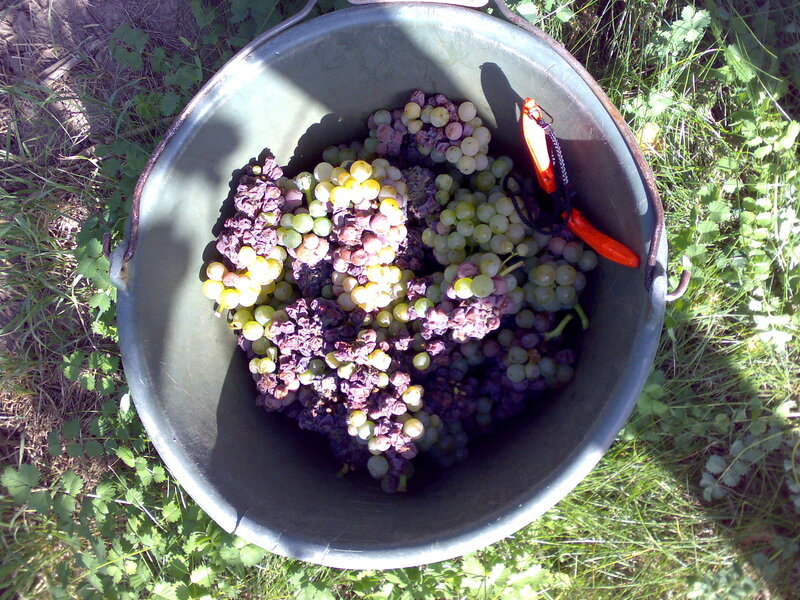 The minimum required Oechsle value (of the grapes) in the Pfalz to qualify as a BA is 120 (the Oechsle scale is a hydrometer scale measuring the density of grape must, which is an indication of grape ripeness and sugar content. The higher the value, the higher sugar content, the higher the potential alcohol). This wine also had a small percentage of “fresh” grapes; grapes not effected by this “noble rot”. At analysis, the grapes that went into this wine had an Oechsle reading of 145! This Oechsle reading puts this wine at just a few degrees under the Trockenbeerenauslese level of 150! 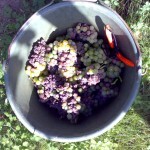 It is quite unusual to be picking grapes of this level so early in the harvest season. Many of the other Bürklin vineyards weren’t even going to be harvested for fresh grapes for another couple of weeks. I have to say that it was a challenging first day of harvesting! There are many types of rot and you have to be very selective to assure that the good rot is the one you are harvesting, the rest goes right on the ground! The Gaisböhl vineyard is solely owned by the Bürklin estate. This vineyard is considered a “Grand Cru” (according to the Bürklin-Wolf’s own strict vineyard classification system dating back to 1995). The vineyard covers 5,7ha and was planted in 1977. As many of you may know, 2007 is heralded as an excellent vintage in Germany. A vintage which has the potential to age for decades. This wine was no exception. It was immediately approachable but had the potential to age, well probably longer than you or I. Appearance: Poured like liquid syrup! Golden orange with amber hints. Nose: Orange marmalade, apricot nectar, honey, lemon with mineral undertones. “cool” chalky smell with hints of eucalyptus. Lots of apricots! I could smell this wine all night! Palate: Pure, apricot syrup with extreme, mature acidity! The finish has hints of dried apricots and sour fruit. The wine really coats the mouth and the texture is mind-blowing. The finish is extremely long, at least a minute or more.. This has got to be one of the finest sweet wines I have ever tasted, because it had extreme focus of both fresh and dried fruits with amazing acidity giving this wine lift and freshness! For those of you that don’t enjoy sweet wines, this one is worth a try. The secret with sweet wines is the acidity. 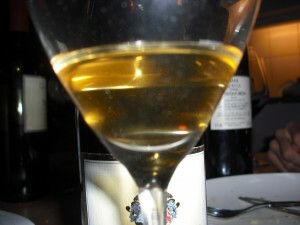 Sweet wines need acidity to balance out the sugar. When the acidity is in balance, the wine will seem fresh no matter how sweet it is. In other words, the higher the residual sugar, the higher the acidity needs to be. If there is a lack of acidity, which unfortunately is too often the case, the wine will seem cloying and will sting at the back of the throat. This is why cool climate countries have the advantage in the sweet wine world. The cooler climate produces grapes with higher acidity and typically the sweet wines made from these grapes are fresher.